On this date in 1215 England’s King John I made peace with contentious nobles by signing the Magna Carta or Great Charter. 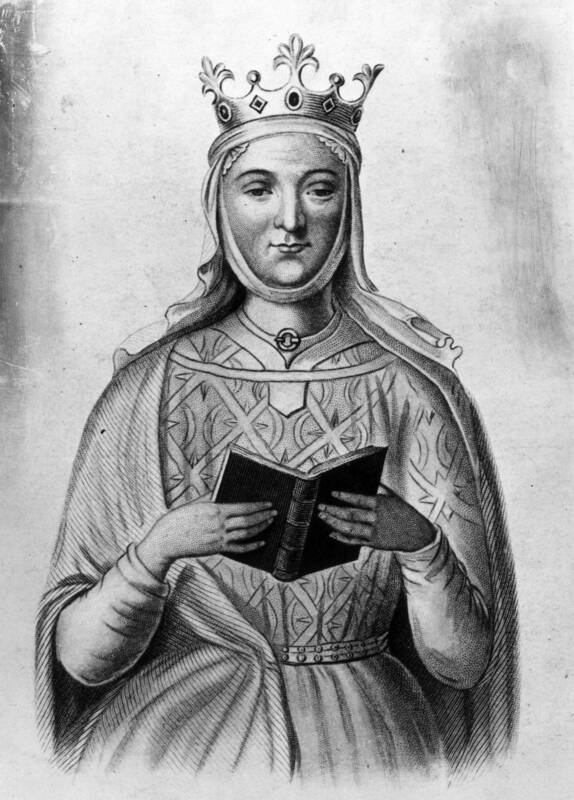 John was the fifth and youngest son of King Henry II and Eleanor of Aquitaine. He had none of the political skill of his father and certainly none of the intelligence of his brilliant mother. He ascended the throne of the death of his older brother, King Richard, the Lion-Hearted. As I used to tell my students, King John was in every way as nasty a piece of work as portrayed in the Robin Hood legends and then some. King John declared the Magna Carta invalid in September of 1216, barely a month before his own death and fighting with the nobles– both Norman and Saxon– continued. When John died his young son, Henry, needed the support of the nobility to keep the throne, and so Henry’s guardian issued an edited version of the Magna Carta. The adult King Henry III re-issued a final version of the Magna Carta in 1225, though it did not officially become law until 1295.While most of the rights in the Magna Carta, like the protections against unreasonable taxes and fees, had already been established by the Charter of Liberties, and others had been established by previous monarchs (John’s father, Henry II, had established a fairly decent system of trial by jury), the Magna Carta included one significant provision that had never been put into law before– the Council of Barons. This turned the Magna Carta from a list of intentions and promises, like the Charter of Liberties, into a document that could actually be enforced on the king. The Magna Carta meant that the king’s power was no longer completely absolute; however, the monarch continued to exercise great power until additional changes took place in the seventeenth and eighteenth centuries, giving shape to the English monarchy as we know it today. What did the Great Charter actually say and do? The Magna Carta prevented the king from levying taxes without his nobles’ permission, except in a few special situations, and from demanding goods or services without payment from his free subjects. It also limited the power of the barons to levy taxes on their own feudal subjects, and protected debtors from having their land seized to pay their debts, except as a last resort. The Magna Carta protected the widows and heirs of nobles from having to pay unreasonable fees to receive their inheritances, and ensured that they would receive enough money to live on even if their husbands or fathers died in debt, as well as making the royal officials who managed the estates of underage heirs accountable for how the estates were run. It also limited the power of the king to force the widows and children of barons to marry, a power King John had abused for his own profit. 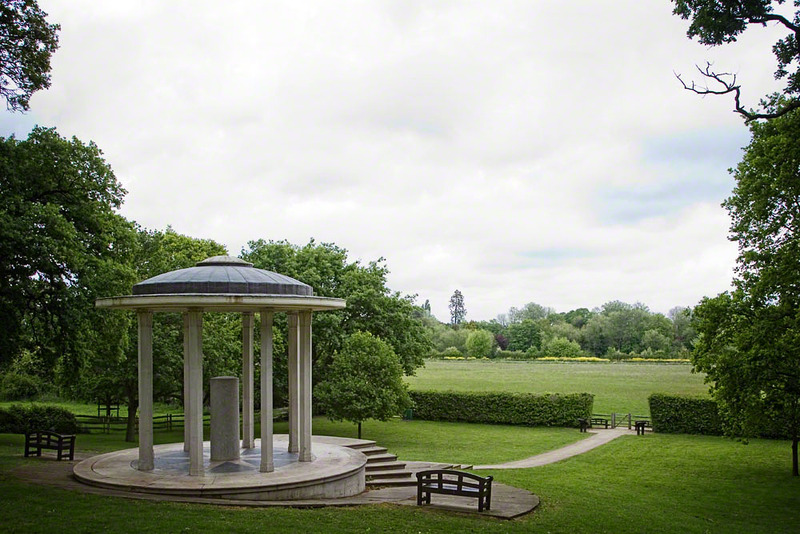 The Magna Carta set up permanent courts for different kinds of cases, and forced royal officials who accused someone of a crime to produce witnesses to prove their case. It protected free men from fines that would ruin them or that were out of proportion to their crime, and protected nobles from being fined except by the rest of the nobility. On the other hand, the Magna Carta also established that priests could be fined under the same rules as lay people. It established protection for free men from being arrested or punished in any way unless the punishment has been agreed by a jury of their equals or decreed by law. One of the most important steps the Magna Carta took was the establishment of a council of twenty-five barons to enforce the rights it granted. The Council of Barons had the right to challenge the king if he or any of his officials violated any of the provisions of the Magna Carta, and if the king refused to make reparations, the council could force him to comply by seizing his royal property. The council was not elected by the people. 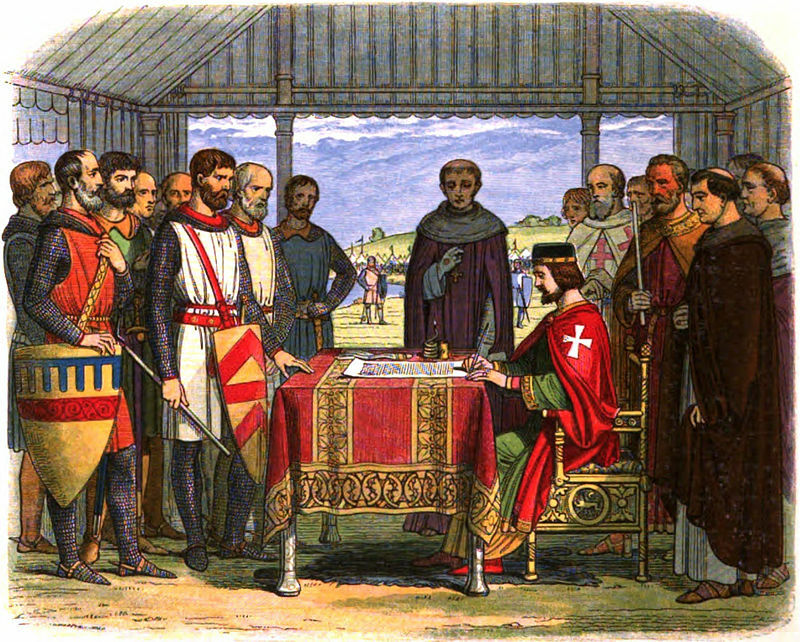 When members died or left, the remaining members chose noblemen to replace them but by setting up a group of subjects with the power to hold the king to account, and to punish him if he failed to abide by the law, the Magna Carta paved the way for the later creation of Parliament, beginning around 1295. We must remember that the Great Charter was created by nobles and a king not interested in civil rights but only in reaching a bargain to avoid civil war. Its purpose was to protect the nobility from the King. It did nothing for the peasant. It offered nothing for the Jews, the Scots or the Irish, or any foreigners living in or conducting business in England. Yet it had long-reaching effects in establishing constitutional government in Great Britain and in the United States.